The National Executive Committee of the All Progressives Congress, APC on Tuesday approved a one year extension of the tenure of all its elected and appointed party officials. 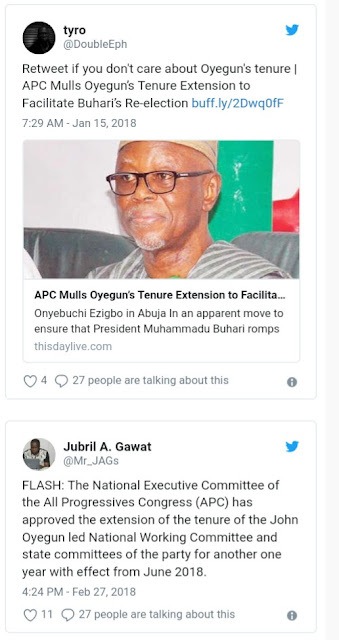 By this extension, John Oyegun remains the National Chairman of the APC in the next one year. 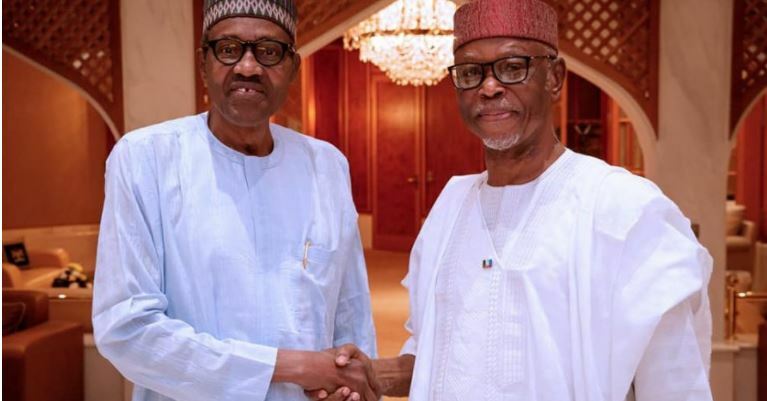 Oyegun’s tenure was extended at the APC Caucus Meeting in Abuja on Tuesday. Oyegun had been in running battle with the National leader of the party, Asiwaju Bola Tinubu, who has been canvassing the removal of Oyegun from office. It is believed that the rift between the duo might have been settled at the party’s caucus meeting held in Abuja on Tueday where the tenure of Oyegun was extended. 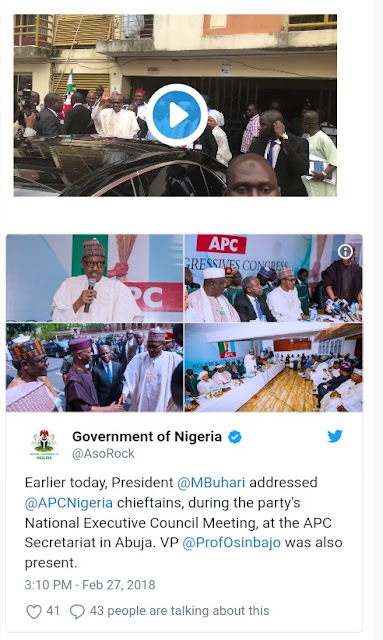 At the meeting were President Buhari, Vice President, Yemi Osinbajo, Speaker House of Representatives, Yakubu Dogara; APC Chieftain Chief Bola Ahmed Tinubu, Governor Akinwunmi Ambode and several bigwigs in the party.